WHY MEMORABLE: This books stays with you. Why? That’s what I asked myself en route to Nichole Bernier’s book talk at Politics & Prose in Washington, DC, to celebrate the paperback release of her compelling debut novel (it’s where she crafted some of it, in the bookstore’s atmospheric café). I had read the novel six months ago when the hardback was published, but wanted to re-read it so it would be fresh in my mind, but it wasn’t until I met someone on line for the signing, who told me it could be “the best book I’ve ever read,” that my lens would be why it was so powerful and not forgettable, like so many others. I was drawn to the novel because it was inspired by a true story: the author lost a friend on the first plane that hit the Twin Towers on 9/11. 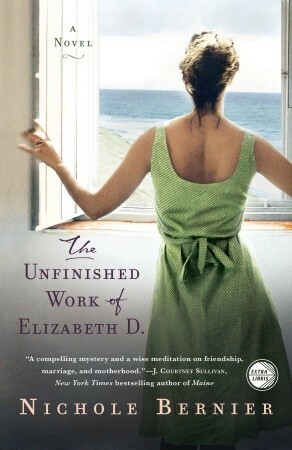 This is not a spoiler, since the reader learns from the opening pages that Kate’s friend Elizabeth has died – although the cause is not due to terrorism – yet Kate’s character is still grappling with, and concealing, rather intense feelings of anxiety long after 9/11, as the novel takes place during the summer of 2002. 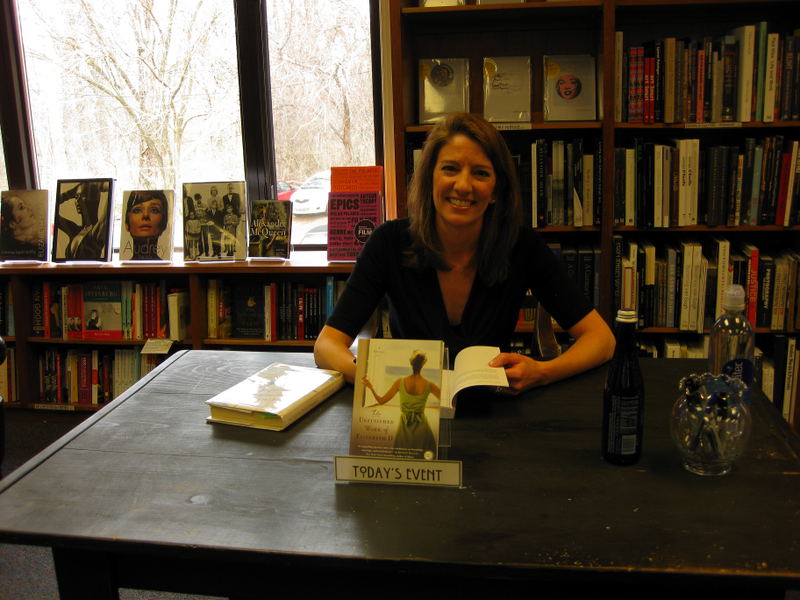 I was also attracted to this book because Nichole Bernier is the mother of 5 children. When did she have time to write? After learning it took her 7 years and plenty of drafts, including first creating hundreds of pages of Elizabeth’s journals so she could really get to know her character, and then deleting some 80%, you can’t help but be impressed by the author’s persistence and passion, which translated into Elizabeth’s authentic, haunting, and memorable voice. If you like a good mystery, you’ll want to know why Elizabeth left her intimate journals to a playgroup friend and not to her husband Dave. It occurred to her that there could be in most relationships two distinct tracks of conversation taking place at any given time: what people actually discussed about their lives, and what people did not discuss but was very much on their minds. Told against the healing backdrop of a lovely summer island reminiscent of Martha’s Vineyard, other compelling themes include the sacrifices of motherhood; suburban loneliness; solitude; and loss, grief, and the fragility of life. The island’s spirit, contrasted by elusive feelings of danger, is lovingly expressed in images of wild roses, wild spaces, and sweet trees, but it is the search for understanding “invisible wishing” that may linger most for you.